If you’re in search of top of the line Botox treatments, look no further. The specialists at Clinic (Botox Clinic) have what you require, if you’re in need of facial aesthetics or anti-wrinkle injections. Firstly, you should know a little bit about the numerous Botox treatments available and how you can benefit from them. 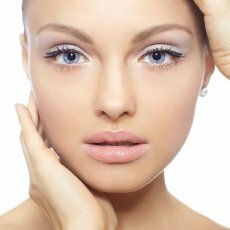 As Ealing’s Botox experts, we can shed some light on anything you’re curious about. A very fine needle is used to inject the the muscles relaxing solution known as Botox into your skin. 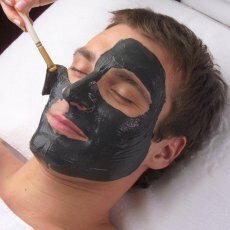 The main purpose here is to ease the muscles surrounding your face. 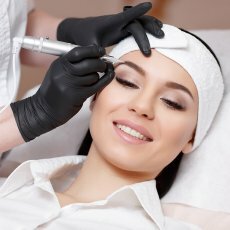 What is Botox ideal for? There are many reasons people get Botox injections, but the main ones are to prevent and remove wrinkles. By putting your facial muscles at ease, you’ll be unable to make expressions that produce wrinkles, such as frowning. Botox can be used to treat migraines, according to recent studies. We are one of the few providers in West London who can administer Botox for migraine treatments. Those who sweat excessively can also benefit from Botox injections. This condition – known as hyperhidrosis – can be alleviated by blocking nerves in problem areas (such as your armpits or forehead), which prevents glands from perspiring. There are certain areas of your face that injections can be applied to. As Ealing top Botox clinic, we can inject it between your eyebrows, in your forehead, beneath your eyes, around the exterior of your eyes, and on your jaw/neck. As stated earlier, Botox relaxes your facial muscles. What does this process entail, though? A protein in Botox injections is used to prevent muscle contractions. Typical areas that receive treatment are between the eyebrows and your forehead, but any part of your face can receive the injection. What parts of the face can receive Botox injections? For many people, the area between the brows contain muscles that are regularly contracted, so much so that you’ll receive what is referred to as the ‘11’. This refers to the pair of lines between your eyebrows created by repetitive frowning. They can be removed permanently with anti-wrinkle injections. You might be concerned about the dangers of Botox and the risks associated with it. Our Ealing Skin clinic offers Botox treatments that are completely safe for every patient. Our experienced cosmetic understand what each process entails, where the key injection areas are, and how to reduce any potential risks. Our surgeons are health professionals that adhere to regulations enforced by the FDA. A small amount of Botox will be injected into a specific area. The odds of something bad happening are low since we are cautious when injecting anyone with anything. Also, because you’ll only get a small dosage, any impact of Botox stays localized. Therefore, it won’t travel to other areas of your body or face. The area to be treated will be the only space impacted. Botox is safe when administered by skilled experts! Is it worthwhile to get Botox injections? Perhaps you’re curious about Botox injections and if they are worthwhile for you. You’ll be pleased to hear that these anti-wrinkle injections can be used on everyone. If you have wrinkles that won’t disappear, or if you have lines that you don’t want to look at anymore, Botox can be used to help minimize such aging features. Botox can be administered no matter how old you are. Both sexes can get it when they desire. You don’t have to wait until you’re long in the tooth to get treatment. Quite the contrary, you’ll notice improvements when Botox is administered before wrinkles start showing up. Many people are hesitant to get Botox injections. That said, research suggests that Botox injections are an effective treatment to remove wrinkles. When regularly administered, they can prevent wrinkles from showing up and postpone natural aging signs. This treatment is available in a limited number of clinics in Ealing, London. As such, give us a visit if you want effective wrinkle treatments! How long will the Botox treatment effects last for? It’s vital to understand that Botox isn’t a long-term treatment. It isn’t permanent, so you’ll need to get ongoing treatments if you want to maintain the results. Generally, patients can expect their anti-wrinkle treatments to last between 3 and 4 months, and 6 months for excessive sweating treatments. How frequently must Botox injections be administered? Our clinic will make sure that your Botox treatments last for as long as 4 months. You can expect to return every 4 months for the most optimal results. With that said, your return frequency is totally up to you. If you are content with a single annual treatment, that’s okay! What takes place during a consultation with us? If you’re in Ealing and are thinking about getting Botox, schedule a consultation with us first. You’ll meet with a skilled medical expert who is experienced in facial aesthetics. The thoroughly-trained professionals here will answer any queries you have, the perks you can expect, and potential side effects that might happen. There is no pressure to commit to a treatment after your consultation. It’s your call to move ahead with treatment or not. 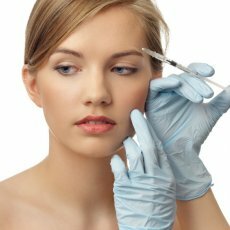 What to expect during a Botox treatment session? We endeavor to make your session as stress-free as possible when administering Botox injections. We try to get things completed fast so you’re not inconvenienced! A general treatment will be performed sans-anesthesia. The injections involve a narrow needle injected right into the area of treatment. Of course, we can’t promise that your session will be completely void of discomfort. But many of our patients claim that the needle feels like a mild prick. 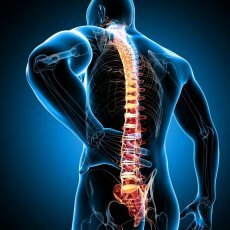 Those who are sensitive to pain can easily endure this small procedure. Do Botox injections come with any side effects? Some side effects might transpire, post-injection. However, you needn’t be concerned. Such side effects tend to be quite mild and disappear fairly fast. You might endure some redness or swelling at the point of injection. This will likely disappear within 10 minutes of the injection. This is a normal reaction when your skin is exposed to a needle. There might be a small bruise or two also, but that doesn’t happen very often. When you schedule a consultation at our Ealing-based Botox clinic, we’ll explain the side effects in more detail. What does the post-treatment process entail? It’s important that you maintain yourself, post-treatment, to get the best results from your injections. We recommend staying away from anything strenuous for 24 hours after receiving an anti-wrinkle injection. For the most part, you should be able to wear cosmetics after the 24-hour waiting period. Also, we want to make sure that things are progressing well post-injection. You can expect to return to the clinic a few weeks after the treatment (at no charge) so we can assess how the treatment is holding up. You can book another injection for 4 months after the initial one while you’re there, if you wish. Will my face freeze after my Botox injection? Some people mistakenly believe that Botox can freeze your face. This misconception stems from celebrities exhibiting stiff faces on television shows after too many injections, to the point where they look almost void of emotion. You don’t need to be concerned about this at our clinic. You’ll be in good hands with Dr. Kayhan Kamushi, as he only administers the amount necessary for the intended effects. There’s no need to be concerned about getting too much Botox to the point that your face becomes numb. Your facial muscles will be as flexible as they are now. The only areas affected will be the ones that receive treatment. You’ll start seeing results a few days after treatment. After two weeks or so, you’ll notice a substantial improvement. Your wrinkles will be less noticeable, and there will be a mild feeling in the area treated. Don’t fret, though – you’ll become accustomed to the strange feelings within 48 hours. Botox is one of the most popular cosmetic procedure in United Kingdom. Along with its growing popularity, there are more and more uses for it–there’s Botox for men (aka ‘Bro-tox’) and even Botox to stop your scalp from sweating to help extend your blowouts (‘Blow-tox’). With no downtime, instant gratification and very minimal discomfort (the teeny needle barely registers as a prick on the skin), it’s no wonder Botox is a cosmetic patient fan favorite. From middle-age movie stars to twenty-something career girls, Botox has become a staple for many anti-aging skincare regimens. So if you’re going to take the Botox plunge, it pays to know how best to care for your skin afterwards, to get the most bang for your Botox bucks. We asked Dr Kayhan to give the scoop on his best Botox aftercare tips. 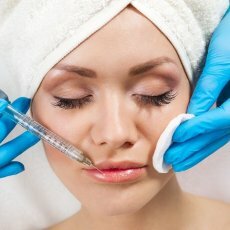 What do you tell patients to do or not to do right after Botox injections? I advise my Botox patients to avoid laying down for three hours post-treatment. Therefore no sleeping or yoga for three hours. This will help to avoid dispersion of the toxin. 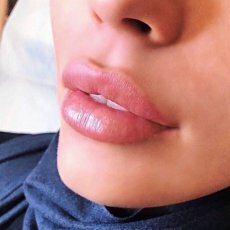 Is there any skin type that should avoid getting Botox injections? I just won’t inject in traumatized or injured or infected skin. What are the best ways to help the Botox stay in place for longer. Sometimes skin tightening treatments with radiofrequency or ultrasound such as Thermage, Venus Concept or Ultherapy can supplement with improved results and longer lasting effects. But it’s recommended to wait about three weeks prior or after a tightening treatment to get Botox injections. Is it ok to touch your face after treatment? Avoid touching or massaging area immediately after. Facials are recommended before Botox, but never directly following. 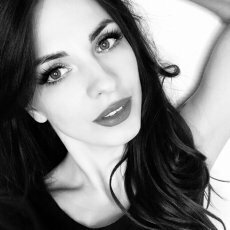 Dr. Kayhan has been injecting dermal filler for as long as they have been on the market (over 13 years) – and works with thousands of patients annually. He regularly pursues advanced training – and trains other physician injectors for two of the largest filler makers in the world. The injection of filler is an expertise – and there are many kinds of fillers – all with different consistencies and best uses. Like multiple paint brushes in an artist’s tool kit – you want to work with someone who knows how to use more than just Juvederm. The number one way to ensure you have your best results with filler is to work with a highly trained, physician-expert. In order to reduce the amount of bruising and/or swelling from the injection sites, please follow the instructions below. Avoid blood thinning over-the-counter medications such as Aspirin, Motrin, Ibuprofen, and Aleve for 1 week prior. Please consult your physician if you are taking Aspirin for medical reasons! Avoid topical products such as Tretinoin (Retin-A), Retinols, Retinoids, Glycolic Acid, or any “Anti-Aging” products for 3 days prior. If you have previously suffered from facial cold sores, there is a risk that the needle punctures could contribute to another eruption of cold sores. Please let Dr. Kayhan know if you are prone to cold sores. Do not use dermal fillers if you are pregnant or breastfeeding, are allergic to any ingredients, or suffer from neurological disorders. Please inform us if you have any questions about this prior to your treatment Day of Treatment. 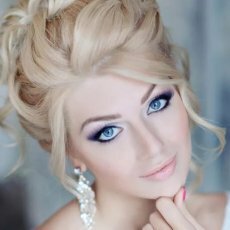 Arrive to the Clinic with a “clean face” – washed and without makeup. Immediately after the treatment, there may be redness, bruising, swelling, tenderness, and/or itching near the injection site. Avoid itching , massaging, or picking around the injection site. This is normal and generally disappears within a few hours to a few days. If these symptoms last more than 3 days, please contact our office. We will provide you with ice, arnica cream and tablets, and bromelain tablets – all of which can reduce or resolve potential bruising. You may take acetaminophen (Tylenol) to reduce any pain as necessary Within 6 to 10 Hours of Treatment. To help alleviate bruising, we recommend the topical application of Arnica – a natural ointment commonly used to reduce bruising. You can find this in the natural foods section of your grocery store, or at local pharmacies. We will also provide you with some in our office. Minimize movement of the treated area(s). However, if there is a visible bump, you can massage the area. Depending on the areas treated and the product used, you may feel “firmness”. These areas will soften and settle with time (usually 1-2 weeks). Sunscreen and makeup can be applied, and the area can be gently washed with a gentle cleanser. Dr. Kayhan recommends using a sensitive cleanser such as the Sanitas product line or Cetaphil to avoid additional skin irritation. For most patients, the benefits of dermal fillers can be enhanced by using a medical-grade skincare system, such as Obagi. Products containing Vitamin-C can strengthen the skin and improve laxity and texture. Additionally, use of Tretonoin (or Retin-A) helps rebuild cells in the skin’s epidermis (or top layer). Over time, Tretonoin can strengthen skin, improving firmness and resiliency. Tretonoin (Retin-A) is available for purchase in our offices – or through a prescription. Ask Dr. Kayhan about the best concentration for your skin. 98% of skin damage (aging, wrinkles, dark spots, and hyper-pigmentation) is caused by sun damage. Wearing sunscreen is critical to maintaining the look and health of your skin. Sunscreen should be re-applied after every 4 hours of sun exposure. Dr. Kayhan recommends a sunscreen with an SPF 45 or greater. If it is difficult for you to reapply sunscreen throughout the day, consider adding a powdered sunscreen (we recommend Bare Essentials) to your daily routine, which can be brushed on to the face and chest periodically. Please Contact Us Immediately if You Experience Fever and/or chills If the area appears red, hot to the touch, and “angry” looking. The short answer is, of course, it depends – what areas were treated, and with which specific product. Cosmetic fillers are long lasting, but not permanent. Shorter term fillers made of hyaluronic acid, like Juvederm and Restylane, will last anywhere from 6-18 months depending on the areas treated and your bodies metabolism. Long lasting fillers, like Sculptra or Bellafill, actually stimulate your own collagen to “grow” in as the filler. The results of these treatments have been reported to last as long as 3 to 5 years. Be sure to use a very, very light touch when massaging any type of product onto your skin. No aggressive rubbing at all. Some of the flaking cells are still attached to live cells, and you don’t want to risk pulling anything off that isn’t ready. Do be extra careful when the skin is wet. Water melts and softens dead skin, so it’s very easy to rub off both dead and live cells when the skin is moist. 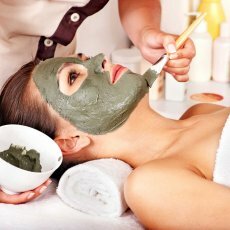 This means avoid using washcloths or sonic cleansing brushes after a chemical peel. It’s too risky. Do wear sunscreen after a chemical peel. Stating the obvious, but the skin is very vulnerable post-peel. UV light (even daylight on a cloudy day) is damaging your skin. If the skin is overly flaky and you’re being mindful of not touching it too often, consider trying an SPF-infused powder. You can dust it on for a quick and easy, rub-free reapplication. Do limit your time outdoors. After a chemical peel, you want to hibernate as much as possible to keep your skin protected. The last things you want to expose your skin to are heat and UV light. It’s already in such an inflamed state, you don’t want to make it worse. Don’t pick or pull at the flaky skin! The whole purpose of a chemical peel is to lift away surface dry, damaged cell layers and reveal younger-looking, healthy new cells. But to do this, the skin has to shed. That’s the part that people dislike the most. Picking off dry, flaky skin when it may not be ready to come off can result in scarring and unnecessary redness. You really have to leave it alone. Again, let Mother Nature her do her job. Don’t use a washcloth, facial scrub or sonic cleansing brush. As mentioned above, dead, flaky skin softens up when exposed to water. It can be very tempting to want to rub away that dryness with a washcloth, facial scrub or Clarisonic. Please don’t use any of these. Should any new cells come along with it (which they will! ), you’ll wind up with scabs all over your face. I’ve seen it happen time and time again. This certainly defeats any benefits from getting the peel in the first place. Don’t over-moisturize after a chemical peel. To compensate for post-peeling dryness, don’t over-moisturize. When the skin is peeling and flaky, it’s normal to want to continually apply a skin oil or heavy moisturizer to comfort and alleviate dryness. While you DO want to keep the skin moist because moisturizers can aid healing and you certainly don’t want the skin to crack, it’s important to know that the whole purpose of a chemical peel is to peel. The less rubbing, massaging and tugging on the skin you do, the better. Just use a comforting moisturizer and let the skin do what it wants to do—shed. If you are going out and want to camouflage some of the flakiness, patting a few drops of a treatment oil on the skin like Pro Remedy Oil will help it be less noticeable. Don’t exfoliate with acids or enzymes. It is so important to not remove the peeling skin before its time. You must let the skin shed naturally on its schedule, not on yours. Acids and enzymes, whether in a cleanser, toner, serum, mask or moisturizer, will only irritate the skin further and possibly burn and temporarily scar the skin. While I love exfoliation, and you’ll want to get back to that two weeks after a peel to keep up the results, this is not the time. Read my complete guide to exfoliation. Don’t eat highly acidic foods. Just as you don’t want to apply topical acids to the skin, you also don’t want acidic foods getting on the skin. When things like tomato sauce, oranges and salsa touch the face, they can lower the pH of the skin to the point of causing serious irritation. I’ve seen a lot of people get burns/rashes on the sides of their mouth post-peel from eating pizza. It got all over the corners of their mouth without them even realizing it was happening! When you have a peel, your moisture barrier is in a very damaged state and acts extremely sensitive and particularly. Since the mouth area is the place where you’ll see the most amount of peeling due to facial movements from talking and yawning, this area can be very reactive. Don’t sweat too much after a chemical peel. Especially at the height of the peeling, your protective barrier is very damaged. When you sweat while working out, the salt can cause a stinging sensation which may further the irritation. Don’t use any type of retinol or prescription retinoids. These types of products work to stimulate cell turnover from deep. This is definitely great for the skin, but it’s what’s already occurring because of the peel. Like acids, you’ll want to use these once your skin heals, but not quite yet. Read my beginner’s guide to retinol and prescription retinoids. So there you have it. Tips from my extensive experience to minimize post-peel downtime so you can get back to your regularly scheduled life—but with new, fresher-looking skin! Lastly, here’s how you can give your skin a peel at home. Fat freezing 07471507937 fully qualified and insured. All Aesthetic and beauty treatments available £160 ml.